If you are like me when I’m broke the first thing I think of is how to save money fast. But why not change that mindset a bit and start thinking of ways to make money. There are so many different ways to make money. You can make money online, make money with photography, make money selling T-shirts, make money with a garage sale, and the list goes on. But one of the quickest ways is to sell your old cell phone or to sell your old electronics. If you have old electronics collecting dust in your house, chances are you’re sitting on a goldmine. 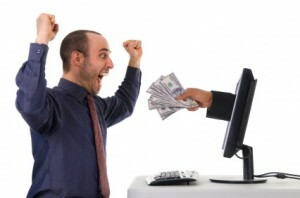 A number of websites offer to buy your used goods for cash and the longer you wait the less valuable they become. For example, Gazelle.com pays for iPhones, iPods, and iPads. They’ll even purchase broken ones for a fair price. The longer you take to send the product to them; however, the greater the chance Gazelle will fulfill their need and not want your old electronic. That’s why it’s so important to request an offer from them right away. Make sure to report the condition of the item accurately. If it has physical damage or doesn’t power on, be honest about it. Many companies specialize in repairing and refurbishing electronic items. It doesn’t hurt to ask if these items are accepted by a website but it most certainly will hurt you if you mislead them by stating that an item is brand new or in pristine condition when it’s not. Include all chargers and accessories as it adds value to your items. People will want power supplies, headphones, and USB cables. If you have access to these items, make sure to include them with your electronic device. If you have user manuals and the box, this can also add value to your electronic. Read each site’s rules before mailing these items because they may be using your device strictly for parts. Take advantage of free shipping. Many companies provide a valuable service by allowing you to ship your used electronics to them for free. Try to select a company that offers this service that way you can keep more of the profit and pay less out of pocket to get your used computer, iPad or mobile phone to them. Keep tabs on what payments you’re expecting. Note when an item was sent out and to whom. Pay attention to the timeframe stated on a website for payments to be received. 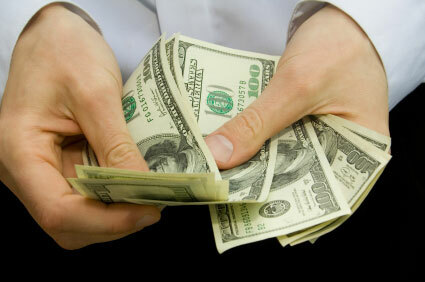 If you do not receive your funds by that date, contact the company with detailed information about your transaction. This will allow them to trace your product and get your payment to you in a timely manner. It pays to go through the garage and those old junk drawers in search of old electronics. You never know how much something is worth to another person until you do some research. If you can’t find a website that will buy your item outright, try your luck on an online auction site. People are looking for the exact devices that you have on hand and the sooner you send them out the more money you’ll get paid. Technology changes so quickly that it’s easy for items to lose their value if held onto for too long. If you have an item in working order, I would recommend eBay first. You can usually get more there than on the sites like Gazelle. I've done this once or twice and it has worked out well. I believe that Best Buy also has a similar program as well. I have used several of these sites before and absolutely love how they send you an envelope with shipping already paid. It can't get much more convenient than that!